A nicely appointed room bathed in soft, warm incandescent light. Attractive? Yes. Stimulating? No. Depressing? Quite Possibly. The notion of drab light dampening spirits is nothing new. In worst cases, lack of light can cause seasonal-affective disorder, or SAD, explains psychologist Melodie Schaefer, executive director of the Office of Applied Practice and Counseling Centers at The Chicago School of Professional Psychology in Los Angeles. SAD is an extreme reaction to gloomy weather, requiring special therapy with full-spectrum lights. Still, lack of light can cause “winter depression” in otherwise healthy people, Dr. Schaefer explains. Why? Sunlight plays a crucial role in body chemistry. When it enters our bodies through the optic nerve, light stimulates the production of melatonin, a hormone that regulates the body’s sleep cycles, and serotonin, a neurotransmitter that modulates mood. Light “stimulates the part of the brain that relates to issues around energy, sleep and wake cycles,” Dr. Schaefer says. Home decor experts agree that the right lighting can go far in creating a cheerful ambiance. Fluorescent bulbs, which cast a blue light that’s closer to daylight, are a better choice for mood-improving interior lighting. But don’t be put off by preconceived notions about fluorescent lighting. Contemporary fluorescent bulbs come in warmer shades — check the packaging for terms like “daylight,” “sunshine” and “warm white” — as well as in long-lasting compact fluorescent (CFL) models. Those warmer colors are great for living spaces; the harsher blue-tinged fluorescents work best in laundry rooms, garages and other utility spaces, Kaiser says. Now might be a great time to start getting used to compact fluorescent bulbs: The Energy Independence and Security Act of 2007 will phase out incandescent bulbs by January 2014, with a few exceptions, including appliance bulbs and bulbs under 40 watts or over 150 watts. The aim of the act is to make compact fluorescents the new standard. Wattage counts as well. For mood-improving light, kick up the wattage in light bulbs, but make sure it does not surpass the wattage for which the fixture is rated (that information is printed on the metal fixture into which the light bulb is inserted). Exceeding the recommended wattage poses a fire risk. 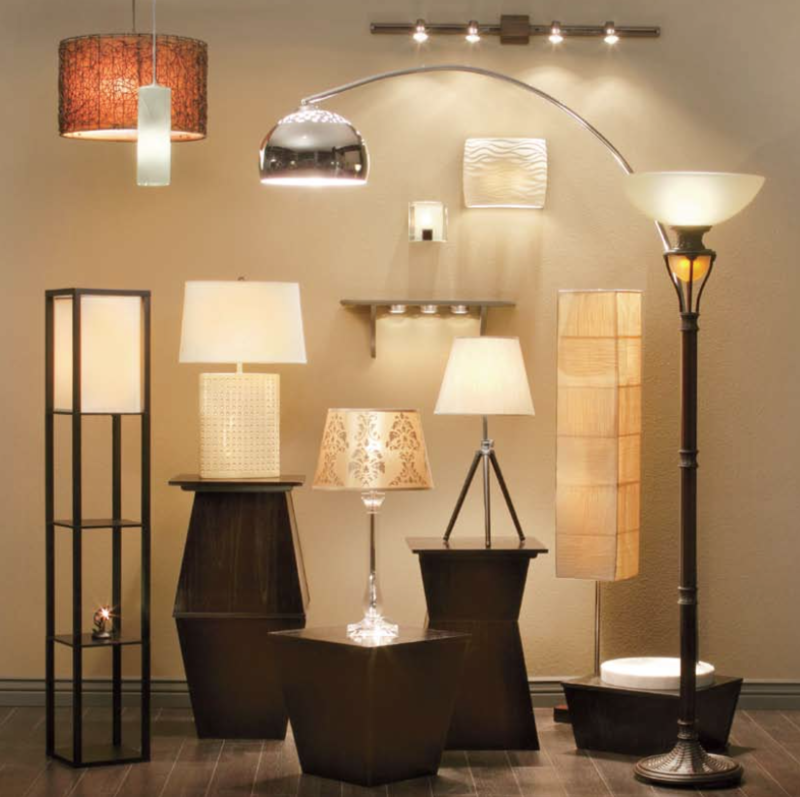 Lighting’s not just about bulbs; it’s about the entire look of a room. Indeed, rearranging the furniture can make a good start in improving lighting, says Debbie Thompson, co- owner of A Change of Space, a Columbus, Ohio-based interior design firm that specializes in budget-friendly room makeovers. Thompson suggests pulling furniture to the center of a room — get that sofa and those armchairs away from the walls — and then arranging lighting around the furniture. A console table behind a sofa and a pair of table lamps will create a lighted space good for reading, knitting or other tasks. Torchiers in each corner will throw light up toward the ceiling. Recessed ceiling lighting throws light down to the room. 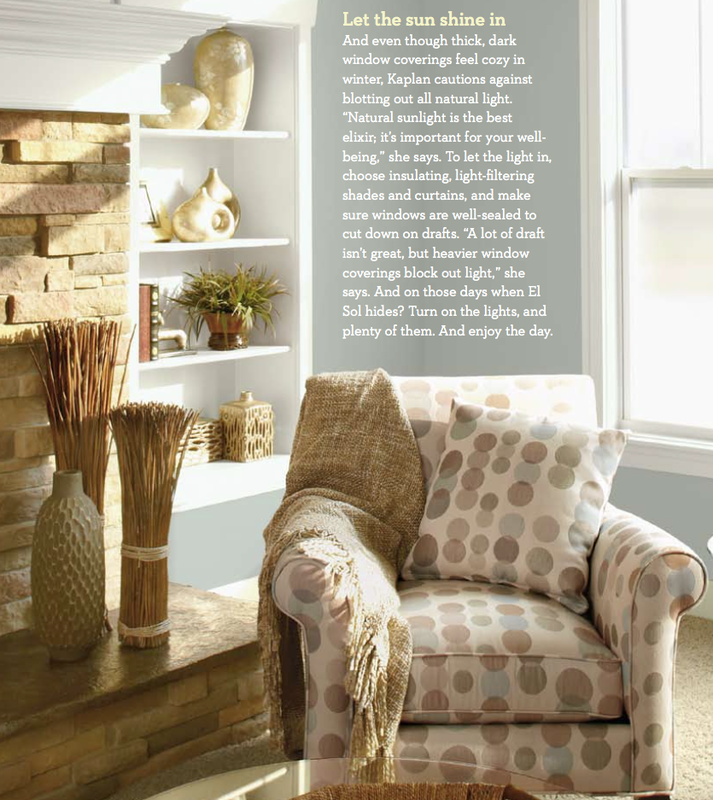 Interior lights in book- cases, china cabinets and curio cabinets can also add decorative spots of light to a room. The combination of light coming from different directions will bathe a room in light, Thompson explains. The change, she adds, will be dramatic: “People don’t understand what lighting can do for a room.” Thompson is also a fan of hanging warm-colored glass pendant lighting above tables. The colored shades “warm things up in the winter,” she says. Lighting also depends on the use of the room, according to Foster. Bright, cheery lighting is called for in living areas, and it’s crucial in work areas such as kitchens, garages and laundry rooms. Because it induces calmness, lower, warmer light is more appropriate for bedrooms. Experts advise exposure to warm incandescent light about an hour before bedtime to help ensure a good night’s sleep. For Karen Kaplan, lighting isn’t just about bulbs and shades; it’s also about the color of a room and judicious use of natural light. “Lighting is one of the major issues I look at when I come into a space,” says Kaplan, owner of New Leaf Interiors in Skokie, Illinois. As a designer, she’s a fan of rich, saturated wall colors. However, she notes that rooms painted in such colors need more light because deep colors absorb light. For those rooms, recessed or track lighting helps elevate mood and atmosphere. For recessed or track lighting, Kaplan is a huge fan of halogen bulbs. The lens of clear, refracted glass produces a light that “makes everything pop and be sharp … it’s almost the quality of lighting you see in a jewelry store,” she says. The quality of the light also goes far toward lifting mood, she adds.LED, or light-emitting-diode lighting, achieves the same effect, but it’s expensive — about $45 per light bulb compared to $10 for a halogen bulb, Kaplan says.